Multiple G1 winners Rhododendron and Limato feature among exciting 31 entries for the £350,000 G1 Al Shaqab Lockinge Stakes, highlight of Al Shaqab Lockinge Day on Saturday, May 19. The showpiece of Newbury’s Flat season and one of the world’s top 100 G1 races in 2017, is the second contest in the mile category of the British Champions Series 2018 and has been won by some outstanding performers in recent years including Frankel, Canford Cliffs, Farhh and Ribchester. 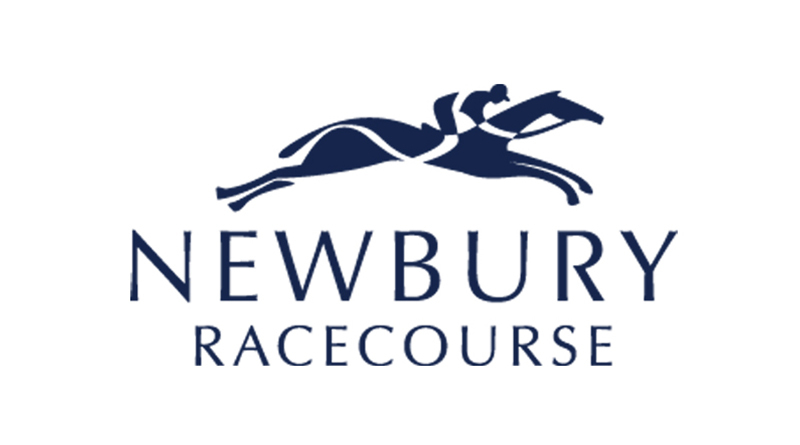 The Al Shaqab Lockinge Stakes is run over the straight mile at Newbury. This year will mark the 60th running of the Al Shaqab Lockinge Stakes. The inaugural race was run in 1958 and won by Pall Mall, who had provided Her Majesty with a Classic winner when winning the 2000 Guineas earlier that season. Pall Mall went on to land a second Lockinge success in 1959. Four-year-old filly Rhododendron, an impressive winner of the G1 Fillies’ Mile in 2016, was runner-up in two British Classics, the 1,000 Guineas (1m) and the Epsom Oaks (12f), last year before gamely taking the G1 Prix de l’Opera (10f) at Chantilly in October. Her trainer Aidan O’Brien is responsible for five entries in total including US G1 victor Deauville and Lancaster Bomber, who was second at G1 level in the St James’s Palace Stakes, the Woodbine Mile and the Breeders’ Cup Mile in 2017. Prix du Jockey Club fifth War Decree and War Secretary, absent since disappointing in the G3 Greenham Stakes at Newbury’s Dubai Duty Free Spring Trials meeting in April, 2017, could also run for O’Brien, who sent out Hawk Wing to emphatic 2003 Al Shaqab Lockinge Stakes glory and is Ireland’s Champion Flat trainer. Godolphin is the most successful owner in the Al Shaqab Lockinge Stakes, with eight victories including the last three renewals thanks to Night Of Thunder (2015), Belardo (2016) and Ribchester (2017). Four Godolphin contenders this year include the Andre Fabre-trained duo of Inns Of Court, who was beaten a short-head in the G1 Jacques Le Marois over a mile at Deauville in August, and G2 winner Jimmy Two Times. Laugh Aloud (John Gosden) and Dutch Connection (Charlie Hills), both successful at G3 level, also could run in the famous royal blue silks. In addition to Inns Of Court and Jimmy Two Times, Fabre has given an entry to exciting four-year-old Le Brivido, winner of three of his four starts. The Siyouni colt was denied by a short-head in the G1 Poule d’Essai des Poulains, the French 2,000 Guineas, last year and captured the G3 Jersey Stakes over seven furlongs at Royal Ascot in June on his only subsequent appearance. Fabre has yet to have a runner in the Al Shaqab Lockinge Stakes, but there have been three French-trained winners of the contest – El Rastro (1976, Angel Penna), Polar Falcon (1991, John Hammond) and Carlos Laffon-Parias-trained Keltos (2002). Limato, trained by Henry Candy at Kingston Warren near Wantage, gained two G1 victories over shorter distances in 2016, in the six-furlong July Cup at Newmarket and the Qatar Prix de la Foret over a furlong further at Chantilly. The six-year-old has only raced over a mile twice in his career, including when coming home fourth in the 2016 Al Shaqab Lockinge Stakes, but was an emphatic winner of the seven-furlong G2 Challenge Stakes at Newmarket on his latest outing in October. He usually runs well when fresh. Librisa Breeze, owned by Brighton & Hove Albion FC chairman Tony Bloom,could also step up in distance following a breakthrough first G1 victory in the QIPCO British Champions Sprint over six furlongs on soft ground at Ascot in October. The Dean Ivory-trained six-year-old, runner-up in the seven-furlong G2 Betfred Hungerford Stakes at Newbury in August, recently returned home after finishing ninth in the G1 Al Quoz Sprint over six furlongs at Meydan, UAE, on March 31. Hertfordshire-based Ivory commented: “Librisa Breeze has travelled back home from Dubai well, although he is obviously a bit tired. “The trouble he had out in Dubai was that the ground was very fast and it was also very hot there as well. “We have given him an entry in the Al Shaqab Lockinge and we will see how we are with him nearer the time. He is a versatile horse and running him over six, seven or a mile doesn’t bother me. Local trainer Andrew Balding may try to win the Al Shaqab Lockinge Stakes, which his father captured twice, with G1 Qatar Sussex Stakes hero Here Comes Whenand Beat The Bank, a five-length winner of the G2 Joel Stakes at Newmarket in September. Two of the most impressive winners of the 2018 Flat season so far have also been given entries. Addeybb (William Haggas) stormed to victory in the Lincoln Handicap over the straight mile at Doncaster on March 24, while Zabeel Prince(Roger Varian) readily took the Listed Doncaster Mile on the same card. Other leading contenders include G1 Shadwell Turf Mile victor Suedois (David O’Meara), Lightning Spear (David Simcock) and Zonderland (Clive Cox), who were separated by a nose in the G2 Celebration Mile at Goodwood last season, plus G1 Qatar Prix du Moulin de Longchamp fourth Robin Of Navan (Harry Dunlop), 2016 Qatar Derby winner Noor Al Hawa, who is trained in Germany by Andreas Wohler, and Stormy Antarctic (Ed Walker) who made all to win the G3 Prix Edmond Blanc at Saint-Cloud in France over the Easter weekend.